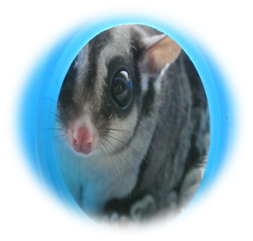 Animals Take Over offers fun and educational animal handling workshops and exciting animal parties which are suitable for all ages and abilities. 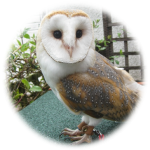 Based in Cheshire, North West England, we have a special selection of animals that Children can touch and hold, whilst learning lots of fascinating facts about each and every one of them. We currently carry out workshops & parties throughout Cheshire, Liverpool, Merseyside, Wirral, Warrington, Manchester and North Wales. Our School workshops are linked to the national curriculum and include topics such as Nocturnal animals, Rainforest, Minibeasts, Habitats, Classification & Lifecycles. We also carry out sessions at Libraries, Nurseries, Children Centres and Play schemes. Check out our School workshops page to find out more! If it’s a party you are looking for, we have four fantastic animal parties to choose from, a Cute & Fluffy Party, a Creepy Crawly Party, a Totally Exotic Party and our unique Pick & Mix Party where you can choose the animals that your guests would love to meet! Click the links on the Parties page to find out more about each animal party package. We are having a lovely break over Christmas but we are looking forward to carrying out lots more exciting School workshops and parties in the New Year. We hope you all have a fantastic Christmas. Some exciting topics the animals have been linking in with include the Owl babies story, Classification, Identifying animals and Pets! We have many different topics to choose from for your class, check out the School Workshops page for more details, if you can’t find the workshop that fits your topic, the Pick and Mix is a great option, you can choose any 8 animals for the children to meet! All workshops are carried out by myself, check out my testimonials on the testimonials page. When booking a School workshop with any company, make sure you know who will be carrying out the workshop on the day, that they have risk assessments and public liability insurance and ensure you know what animals they will be bringing to visit. This hopefully should ensure your visit is a good experience for everyone involved. Absolutely fantastic! Lots of age appropriate info – children were mesmerised!! Thank you so much! An excellent session, that gave every child an opportunity to touch and see. Lyndsay showed so much patience and total control at the same time. A fantastic session, we will definately book again. Thank you! Great Workshop! The children really enjoyed meeting the animals and Lyndsay was really knowledgeable. She also really put the children at ease so they were all keen to get hands on. Thanks for a great morning!